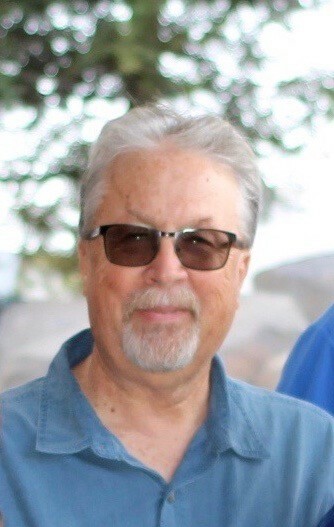 Bruce Kim Mathews, 65, passed away on Monday, August 20, 2018 in Modesto, CA. He was born in Stockton, CA on March 1, 1953 to Bruce and Mary Jo Mathews. Kim joins his father and daughter, Jeanette in Heaven. He is survived by Marie, his wife of 32 years, son Stephen, mother Mary Jo, sister Deborah Moore (Jerry) and brother Stan (Denise). Kim attended Manteca schools, graduated with a Bachelor’s Degree from Abilene Christian University and earned a Master’s Degree in Education from Chapman University. Kim began his teaching career at Sierra Christian School in Stockton and later transferred to Manteca Unified School District where he taught at the elementary level for 13 years. He started his second career building custom homes after obtaining his general contractor’s license, which eventually led to investing in rental houses within the Manteca area. Kim was a leader with a true servant’s heart. He always took time to listen and help people, whatever the need. He was generous and faithful and his primary goal was to share the love and wisdom of Jesus Christ. He enjoyed a great meal and a good glass of wine with his friends. Kim loved to laugh and to make others laugh too. He will be greatly missed by his many cousins, nieces, nephews, and friends. His life is a testament that shows how God can use just one person to touch the hearts of many. P.L. Fry & Son is honored to be serving the Mathews family. A service will be held on Wednesday, August 29 at 10:30 am at Calvary Community Church. In lieu of flowers, donations may be made to Calvary Community Church 815 W. Lathrop Road, Manteca CA 95336. An online guest book is available for condolences to the family at www.plfryandson.com.